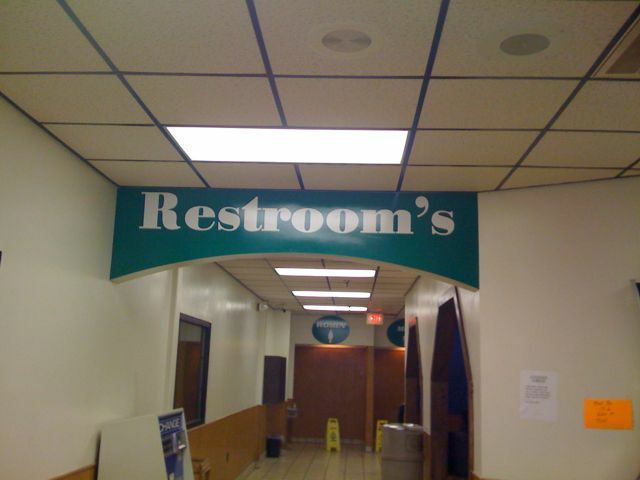 Props to Emporia, Virginia for this fabulous display of the inappropriate use of an apostrophe. Have you read Eats, Shoots & Leaves? You might like it if you get a kick out of inappropriate punctuation. I have a new appreciation for the semicolon now. I saw a roadside stand advertising their produce market on the way back from the beach: "Watermelon Too Blocks"